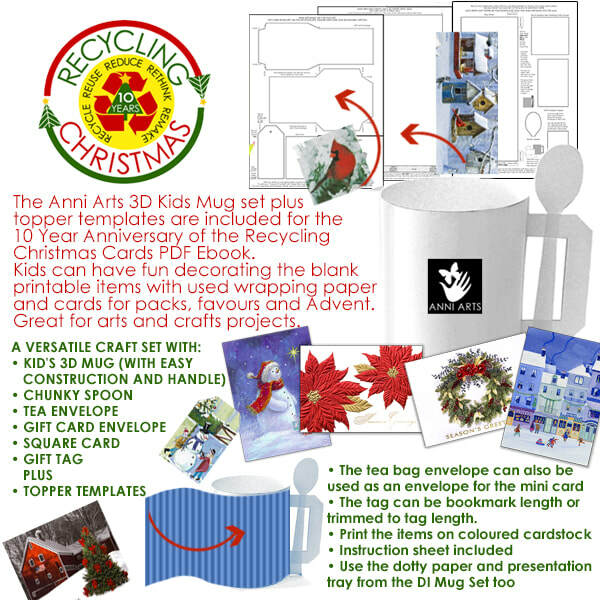 ​NOT JUST FOR XMAS CARDS! Print Book, Regular PDF Ebook and Library Loans! 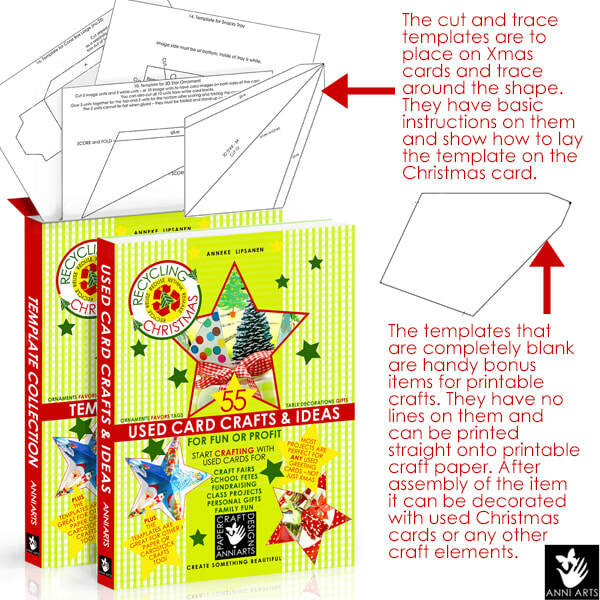 PLUS ​an extra set of the 45 craft templates that are entirely blank with no lines on them, that are suitable for regular print crafts with patterned or solid colored papers! ​orphaned baubles and stray sprigs of holly, ivy and more! 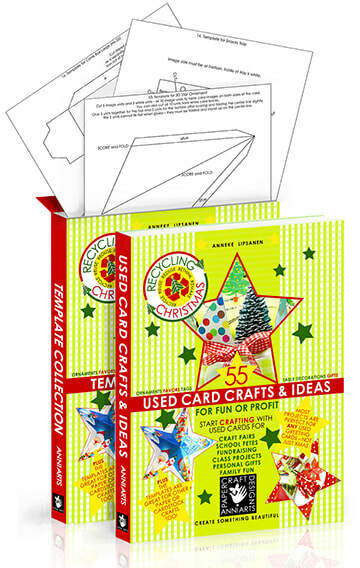 ​A great school arts and crafts project idea - ask parents for all cards from the Holiday season. 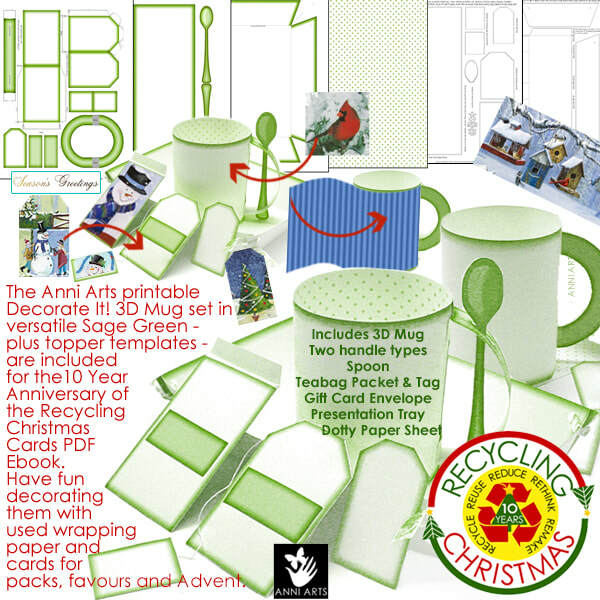 New creations can be sold as Xmas and Advent decorations for fundraising - along with other projects made from the book. so they are suitable for regular print crafts with patterned or solid colored papers. These are in addition to the original cut and trace templates! Items made in this way can still be decorated with bits of old greeting cards, or can be regular paper crafts decorated in any other way. Extra projects and templates plus Gingham pages in four colors. ​The download link will be sent to your inbox. This is a secure https site. This is a physical product that will be shipped to the address you provide.